The Andrews Forest K12 education program connects teachers and students with teaching and classroom resources. K-12 teachers are invited to link to classroom resources, download lesson plans, and learn about professional development activities at the Andrews Forest. K-12 students are invited to learn about the forest, link to data to use for a class project, or find out about our childrens’ book. Undergraduate students can find research opportunities at the Andrews Forest through a series of on-site programs. Graduate students are a critical part of the research program at the Andrews Forest. By connecting with the Andrews Forest LTER site, graduate students have a chance to get involved in long-term, integrated research as part of a community of interdisciplinary scientists, scholars, and students. Graduate students network, travel, use long-term datasets, and learn new technologies through their involvment with the program. 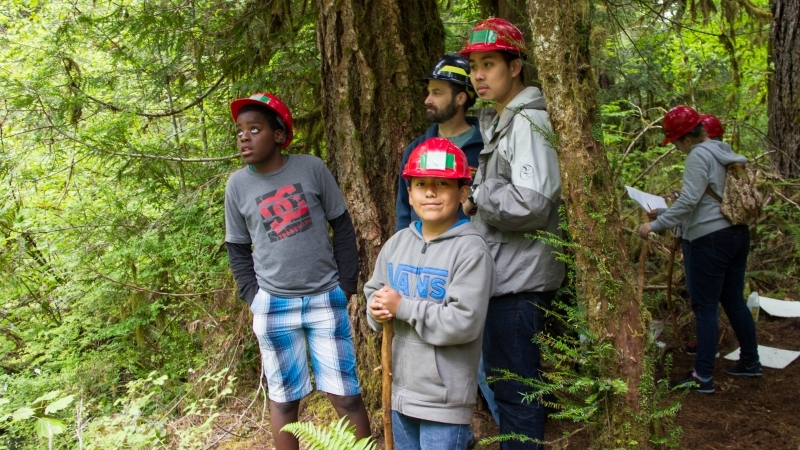 The Andrews Forest program provides continuing education through tours and field lectures to diverse audiences, including students, visiting researchers, forest managers and the interested general public.